If you require further information about our preventative dental services, please phone our team on 9874 9900. We’re here to help you achieve optimal oral health now and into the future. 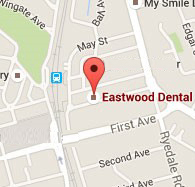 Eastwood Dental also provide restorative and general and cosmetic dentistry.